Who still says “like a boss?” I guess I did. Get over it. But don’t get over spam. Especially annoying are the ones we know we accidentally signed up for. Because it’s our own darn fault. But luckily, there’s a lot more tools for dealing with bulk mail (solicited or unsolicited) these days. Most modern email clients have the ability to deal with spam. Exchange/Office 365 has clutter and junk. You can build rules on sites. You can use spam assassin on your servers. 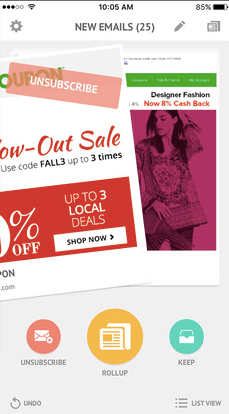 But, there’s also a nice little app called unroll.me. Once you sign up you’ll have 3 ways of dealing with each message: request removal from a list, mark as rolled up into a single daily digest, or mark as good email. Download it here. The app works a lot like something like Tinder. You swipe right to like something, left to not like something. Facebook should implement this into your timeline! If you decide to mark emails as digests, you’ll get an email once a day that looks like this: This works great for organizations that actually properly remove you from lists (which is surprisingly most). Using this swiping type of workflow, you can knock through 100 or more emails in 10-15 minutes. For organizations that don’t respect unfollow or stop sending me your crap emails, there’s also always just marking them as spam. The only problem with this is that you likely have a phone, a computer, a home computer, and maybe a tablet. No one wants to mark the same email as spam four times and then potentially have emails disappearing and not being able to figure out which computer they were marked as junk on. There are lots and lots of options for this type of thing. 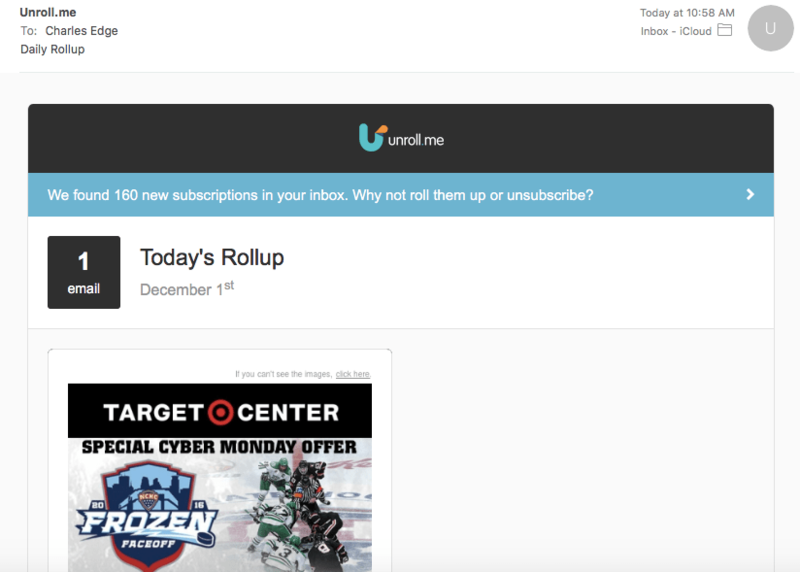 But given the ease of use an quick evisceration I can do on my mailbox, I rather like unfollow.me. Give it a shot. You might hate it. I don’t.